Nuts to You…In a GOOD WAY!!! There aren’t a lot of things you can do for a long-distance friend. 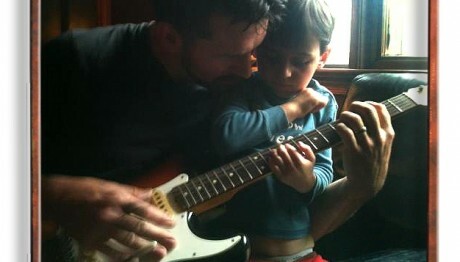 You can send ’em a picture and make them smile. You can send them a cartoon and make them laugh or maybe send them a fifth of Macallan Single Malt and make them grin. And once in a great while you can send them some information that will make them live longer…better…less painfully. Once again, there’s no catch, no Brazil nut diet, no special offer, just go on Amazon and order two bags (one for your air-tight jar) and one for your freezer so you don’t run out. I don’t sell Brazil nuts, I don’t care what brand you buy. Get them shelled-though, they are truly a bugger to crack open and you don’t want to die early cuz you were too lazy to open some nuts. Are they expensive? Nope. DEPRESSION: In retrospect, I actually learned about one aspect of Brazil nuts many years ago. An old friend of mine was suffering deeply from depression. He’d come into our gallery up in Pennsylvania and sigh and moan and groan. And we’d have a beer or two. Then one day, he dropped in, noticeably cheerier and remained that way from then on. He had a bag of Brazil nuts in his pocket and attributed his new cheerfulness to the nuts. I was skeptical, not of his cheerfulness, but of the possibility that some nuts could make that big a difference. 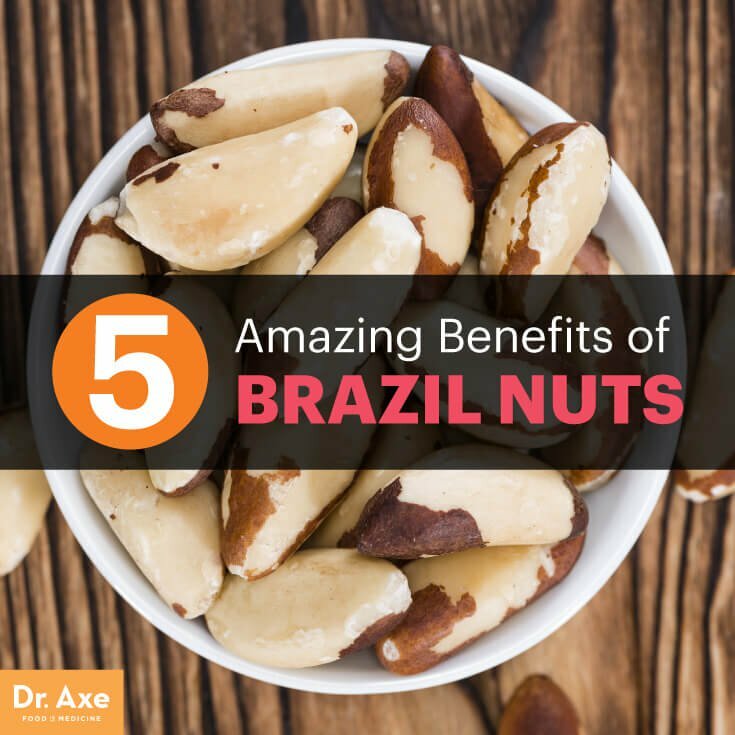 Is there a secret ingredient in Brazil nuts? Yes, there actually is. Selenium and ingested straight from the nut is the best way. They are also high in fiber, protein, copper, magnesium, and thiamine. Most of my readers are over 40 and I’m guessing that with only one or two exceptions, everything on the list of nine advantages is a matter of concern. Pamela and I definitely include ourselves. The back story: As most of you know already, since Pamela became afflicted with Lymphedema, both our lives changed to commence fighting back. We’ve both read books and most of them are woefully inadequate. 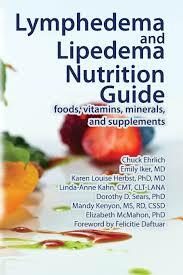 But one wasn’t: Lymphedema and Lipedema Nutrition Guide (Amazon). That’s where we began connecting the dots for reducing swelling, for reducing inflammation, depression, blood pressure. This is definitely a “just the facts, Ma’am” kind of book. One fact to consider: It’s not instantaneous. You don’t pop a nut and feel like going out on the town. It takes a couple of weeks. Is it a hardship for you to eat (three) fairly tasty nuts every day? No. Is more better? Should I eat 6 nuts and get better faster? No, THREE nuts is the sweet spot. 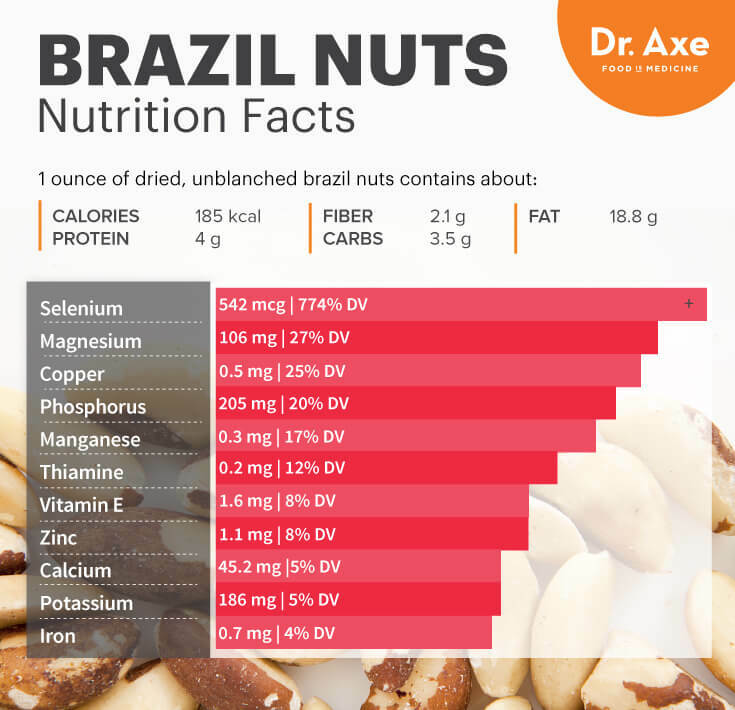 TRIVIA: Brazil nuts aren’t actually nuts. 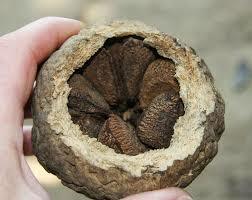 They’re seeds inside a really big nut that looks like a coconut. Can you win a bar bet with this knowledge? Maybe. For what it’s worth, Pam and I are sleeping much better lately, my blood pressure, which was becoming an issue has gone down. 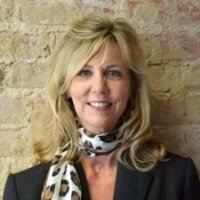 My last reading was 116 over 64… And Pamela’s swelling from the Lymphedema is reducing measurably. A Little Secret: When a writer writes, he doesn’t write for an invisible vacuous, faceless audience. There are at least 30 or 40 specific people I have in mind, people I consider to be friends or at least pretty damned good acquaintances. My job in these essays is to truly act like a friend to YOU. That’s it. P.S. Some of my friends in Florida may have gotten seriously snookered by Hurricane Irma. These friends I have already invited to come and heal emotionally and perhaps physically. Irma is passing over us even as I write tonight. But she will be gone. The mess she’s left you, won’t go away so quickly. Remember you have two friends up in North Carolina. 14 Responses to "Nuts to You…In a GOOD WAY!!!" Interesting piece about Brazil nuts. 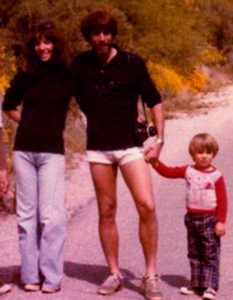 I have been pursing a diet or rather a life style of eating to reduce my high cholesterol. I read a long time ago that statins, which I was on until I began to react to them are not good for you but great for the pharmacutical companies. My cardio doc and I reached a serious deagreement. I was not going to take them any more. I cold turkeyed my diet and after extensive research, began a vegan diet rich in many foods that reduce arterial inflamation which causes high cholesterol. My cardio doc never mentioned inflamation as a cause but my research did. I have been a vegan for 7 years and tweeking the diet as I read and research more. After reading your words, I simply forgot that 2-3 brazil nuts a day was in my regime. I stopped for no real reason. I’ll be at trader Joe’s tomorrow to stock up again. Thanks friend….I am a believer. Look up the value of turmeric to use in your seasonings and include coarse ground quality black pepper with it to increase its effectiveness. I don’t talk about my eating life style because people generally dismiss it as anti….fill in the blank. I’m glad the simple ingestion of a readily available nut can be so helpful. Few doctors would take that seriously unless they got a nice financial kick back from the nut company importers….cynical me. Be well and better my friends. Yup, inflammation can be a lot more serious than people realize. And…you sound about as cynical as I am…which is saying something. Thanks, Henry. Informative and enjoyable. You’re welcome. Since the article, I’ve received numerous responses, none of them disagreeing. And I was surprised at how many folks I know were already on the brazil nuts. I think just about everyone on Catawba River could use a few a day. Brazil nuts huh? I’ll try them husked. By the way that was a fascinating article on nuts. Yup, husked is the only way to fly. You’ll like the results. Takes a couple of weeks. Stretch out your t0ngue and move it to the right then to the left for 10 times. Please do it now! this is the continuation of my saying. Frequently exercising your tongue will stimulate the brain, and help to reduce our thoughts from shrinking and thus achieve a healthier body. It is so good to hear from you! Forgive me, but long long ago when we were stationed at Keesler, we might have had fun…discussing the pros and cons of tongue exercises. Suffice it to say, I am a firm believer in them and am very happy that they have so many other advantages! We’re eating our brazil nuts over here…and waggling our tongues. And you’re not the only one concerned about Alzheimers. Both Pamela’s and my mother became afflicted later in life. We’re keeping busy every day, tackling new projects both literary and sculptural. Right now we’re setting up an artist’s group for writers, inventors, artists, etc. We’re calling it Artists of the Round Table (A.R.T.). The symbolism of the round table is it allows each person an equal say. My very best to you and your family and I hope my lame joke was not offensive to you. 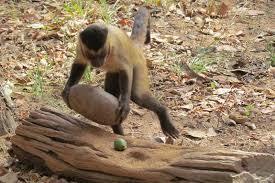 I bought the brazil nuts and am taking them, three a day. Thanks, Henry! I’m already getting feedback, all favorable and a bunch have already been taking them. Good to hear from you! You can get the nuts locally for a lot cheaper. And yes, they really work.